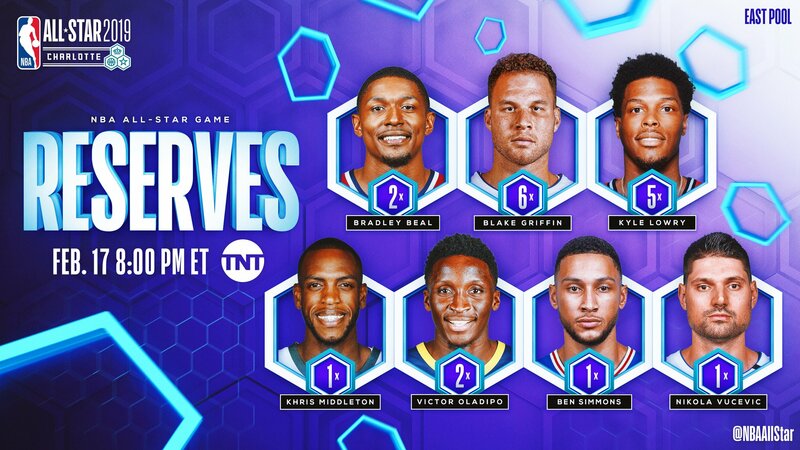 The All-Star Reserves are out. 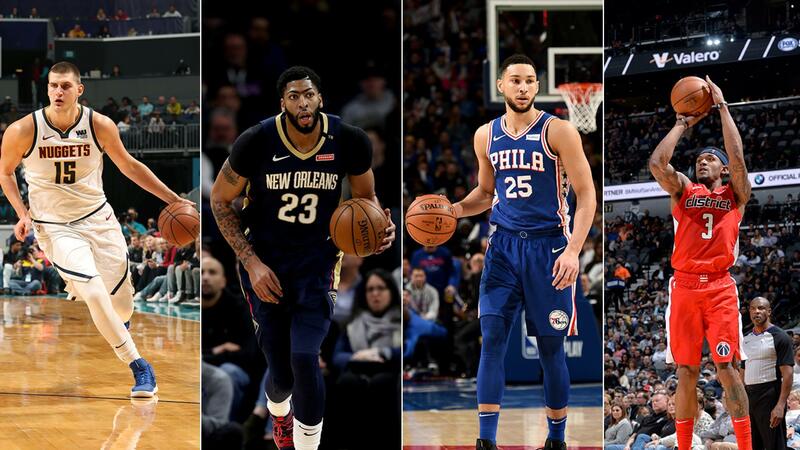 The coaches have spoken and they named the 14 players who will back up the Starters for this year’s NBA All-Star Game. Anthony Davis, the subject of headlines in the past few days because of his trade request, leads the way for the West Reserves. He’s joined by Damian Lillard and Russell Westbrook as shoo-ins for the All-Star Game. The three have been leading their respective teams this season. Klay Thompson joins Kevin Durant and Steph Curry as Warrior All-Stars, making it three straight years where Golden State has at least three All-Stars on the roster. Karl-Anthony Towns and LaMarcus Aldridge also make the cut. Nikola Jokic was also named to his first All-Star team. The multi-faceted big man is a big factor in the fast rise of the Nuggets this season. He’s been putting up big numbers for the second-seeded Nuggets. 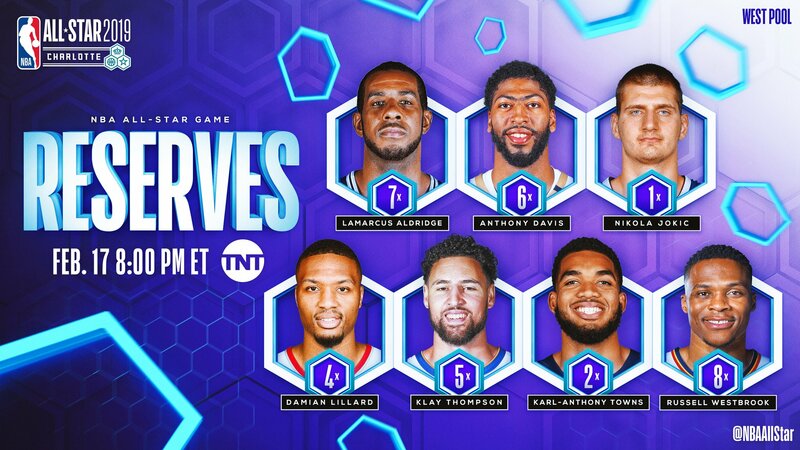 Out in the East, Ben Simmons is making his first All-Star appearance. He joins Joel Embiid as All-Stars from the Sixers. The young duo is a big reason for Philly’s return to relevance in the past two years. Simmons isn’t the only first-timer in the East. Khris Middleton and Nikola Vucevic are also named to their first All-Star teams. Vucevic has raised his game to another level this season while Middleton is the unsung glue guy for the East-leading Bucks. Joining the first-timers are Kyle Lowry, Bradley Beal and Blake Griffin. Lowry has been a solid point guard for the Raptors, playing seamlessly next to Kawhi Leonard. Beal and Griffin have taken on the leadership roles for their respective teams. Victor Oladipo was named as an All-Star even after his season-ending injury. Oladipo was awesome this season and deserves the accolade. He will be replaced on the team by either D’Angelo Russell or Jimmy Butler. The All-Star Reserves will be part of the second round pool for the All-Star Draft happening on February 7 (February 8, PH time). LeBron James and Giannis Antetokounmpo, voted as captains of the All-Star Teams will select from the pool of eight Starters in the first round. James will go first since he garnered the most fan votes. Antetokounmpo will go second. Once the first round pool is done, Antetokounmpo will trhen select first from the Reserve pool, followed by James.